In section two of Practice Insight's Mifid II market structure survey, respondents lament the abundance of acronyms and consider what ‘traded on a trading venue’ really means. You can read part one, published last week, here, and part three, on the longer-term market impact, here. The fact that 83% of respondents expect discrepancies in different firms’ implementation of the reporting requirements may come as little surprise. As one respondent put it, Mifid II’s transparency obligations are “fiendishly difficult” to interpret. “I would be surprised if even a single bank manages to produce consistently accurate reports under the right fields,” says a regulatory strategist for a major Dutch bank, citing CFI [classification of financial instruments] codes in particular, which he says are a “total mess”. Another respondent, the senior counsel in a large German bank, says he has seen both inconsistent time stamps and confusion over whether or not transactions conducted for hedging purposes count as investment decisions under Mifid. “Where you allow room for different approaches there will always be inconsistencies,” he adds. Mifid II introduces an additional helping of alphabet soup to financial markets already bogged down in acronyms, so uncertainty surrounding which codes to use and in what format is rife. There’s significant work going on within the FIX Trading Community to attempt to harmonise reporting, but according to Rebecca Healey, head of EMEA market structure at Liquidnet, it’s still a work in progress. “It’s only as we’ve started to work through all of this in real time that many of these hiccups are coming to light,” she says. One of those hiccups is whether participants should use an LEI [legal entity identifier] code for a systematic internaliser (SI), or report segments of the SI under a MIC [market identifier code]. “The more industry best practice we have, the better,” adds Healey. Another theme that emerged from interviews is that these inconsistencies are not necessarily arising between buy or sellside firms, but between venues and reporting services like Approved Reporting Mechanisms (ARMs) and Approved Publication Arrangements (APAs). The first week of trading revealed vast inconsistencies between data published by Bloomberg and Tradeweb for instance, both of which have a similar market share, suggesting the rules are being interpreted in a multitude of ways. And it’s not just the data itself, but how it’s shared and presented. While some APAs have set up entirely new, publicly available websites, others are opting to share data only with their clients, and others still have produced downloadable spreadsheets. But as one interviewee notes, “by the time you’ve pressed ‘download’ and opened the document, you’re already missing transactions”. Not one person interviewed was surprised that the majority of respondents selected over-the-counter (OTC) derivatives as most likely to cause problems in the reporting space. By far the most diverse and in most cases complex asset class listed, the broad range of specific instruments leaves plenty of room for differences in interpretation. One specific example mentioned by respondents repeatedly was FX swaps and forwards, as some firms report these as two transactions in light of the two legs of the trade, whereas others view it as one. That’s led to significant inconsistencies already, with some firms providing one Isin [international securities identification number], and others providing two. But some were surprised that even 17% of people foresee confusion in the cash equities space, arguing that the rules have barely changed for equities, and that segment of the market had a head start on understanding what Mifid really means. The confusion may be down to the need for issuer LEIs; an eleventh-hour problem that emerged in December and has caused headaches for investment firms and trading venues since. That prompted the European Securities and Markets Authority (Esma) to propose a six-month moratorium of sorts in late December, allowing venues to use their own LEI in lieu of issuers providing them. The general consensus is that problems surrounding equities reporting will be ironed out quicker than those in other asset classes. Guidance is still very much developing in the traded on a trading venue (TOTV) space. Gary Stone, a regulatory analyst at Bloomberg, says that at this point it wouldn’t be unreasonable to take what’s in Firds [Esma’s Financial Instruments Reference Data System] at the start of the day as TOTV – but it’s just not clear what direction the regulators will go in future so early on in the process. “It’s an incredibly big ask to have systems that are constantly monitoring an asset’s TOTV status intraday, but it may well be that the industry has to create more real-time solutions,” adds Stone. Many respondents feel that for the majority of instruments, their TOTV status is clear. But when it comes to the edge cases – those that don’t tend to trade frequently, but were once TOTV – it’s more of a grey area. Sassan Danesh of ANNA DSB, the body tasked with producing Isins for the entire industry, points to Mifid I in lieu of further regulatory clarity. “On that basis it would suggest that instruments will be TOTV forever – but this is really an area that would benefit from further guidance from Esma,” he says, adding that the DSB is expecting more guidance from regulators in the broader TOTV space, as there are still many other important areas where uncertainty remains. As for the significance of the market being practically divided down the middle on this issue, with 55% saying yes and 45% saying no, respondents don’t see this being a major problem – in the short term, at least. One general counsel in a London-based bank who selected ‘no’, explains that he did so because he expects a relatively significant delisting of instruments to minimise the reporting obligation. That’s backed up by Jason Waight, head of regulatory affairs at MarketAxess, who says he has been surprised at the number of issuers requesting that their bonds are delisted from its multilateral trading facility (MTF), largely down to limits around settlement. While some of those may well be permanently delisted – private placements, for instance – others may simply relist in a non-EU jurisdiction, which in some cases has already happened. The majority of respondents – 72% – expect to transaction report within two days of an instrument appearing on Esma’s Firds database. “I think the regulation is pretty clear on the fact that if it’s TOTV on the day you traded it then it has to be transaction reported – but whether or not that's feasible may depend on your tech,” says Bloomberg’s Stone.Geoffroy Vander Linden, head of MarketAxess’ transparency solutions including its APA, views it similarly: “‘While it's not explicit in the regulatory text, it's our interpretation that a newly-created OTC product would be deemed TOTV the day after creation once it's been submitted to Firds, and transaction-reportable that day," he says, adding that for listed products, the transaction reporting requirement would apply on the day it's admitted to trading. As for the 21% of market participants that selected T+4 or longer, respondents expect those firms to be pulled up by the regulator fairly quickly for failing to meet their obligations. “I’d say at the very least, Esma needs to clarify what it expects from the market here,” says the in-house regulatory strategist. As Practice Insight surveyed only sellside firms and trading venues, 38% of respondents’ selection of any other capacity surprised interviewees. “Then again, in my experience dealing capacities have probably caused the most head scratching, so I suppose a range of different responses is not that unusual,” says one. The Frankfurt-based senior counsel says his firm has lobbied regulators heavily on the point that matched principal should not count within the SI regime as it goes against what being an SI really means. Under the UK Financial Conduct Authority’s definition, an SI is an investment firm that deals specifically on own account. So it’s possible that those 17% of respondents selecting matched principal are leveraging other SIs, which is permitted under the rules – but this is yet another wait-and-see-where-the-regulators-go area. 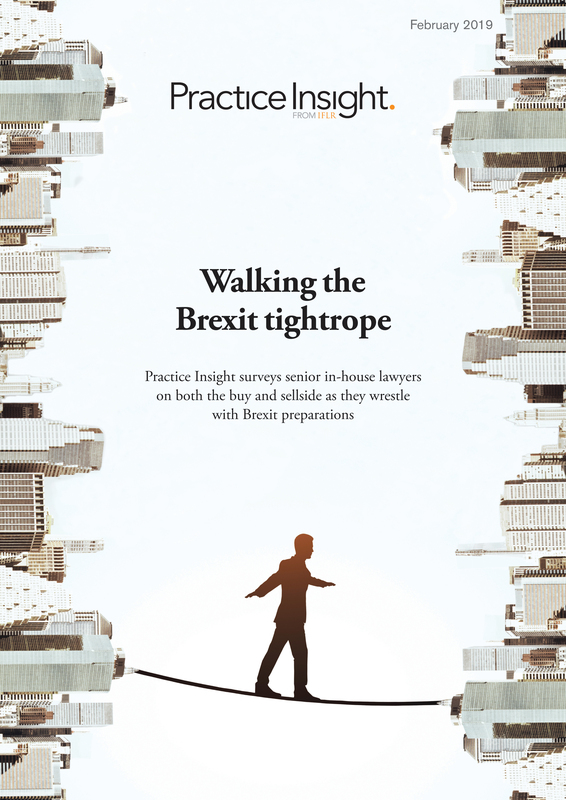 Part three of Practice Insight’s survey on Mifid II & market structure, focusing on broader market impact, will be published next week. Don't miss an update - subscribe to the free weekly newsletter now. This survey was conducted by IFLR Practice Insight and Euromoney Thought Leadership between November and December 2017. It was distributed to decision-makers in a range of different types of institutions across Europe including investment banks, brokers, clearing houses, stock exchanges and trading venues. Follow-up interviews with a combination of survey respondents and other market participants were then conducted throughout January 2018, once Mifid II was effective.